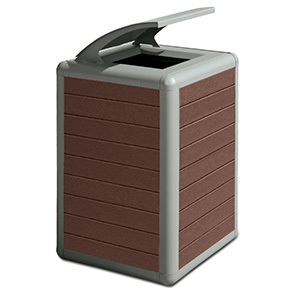 Upgrade and maintain litter-free community spaces with the appealing performance of the Beacon Hill Series recycled plastic waste receptacles. 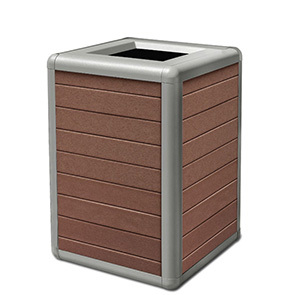 Ideal for indoor or outdoor use, these versatile receptacles are designed with a 45 gallon waste capacity, recycled plastic plank base and durable powder-coated aluminum frame. With complementing Beacon Hill Series planters, receptacles and park benches available, offering an impressive, cohesive look is made simple. Engineered for a variety of applications, these high volume use commercial grade waste receptacles come standard featuring rubberized leveling feet, high-density plastic liner and pre-drilled holes—ready for easy surface mount installation.